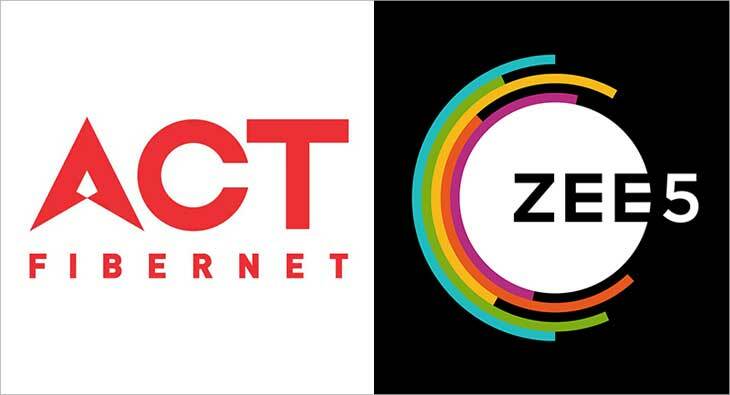 ACT Fibernet, the wired broadband ISP (Internet Service Provider), has announced a strategic partnership with ZEE5, India’s fastest growing OTT platform. As a step to expand its OTT offerings and provide an unmatchable entertainment experience, ACT Fibernet is onboarding a variety of video-on-demand content platforms to meet the entertainment needs of customers across all segments. As part of the partnership, ZEE5 will be listed on ACT Fibernet portal where existing customers can access premium content on the basis of their subscription status. Additionally, first-time users can avail exclusive one-month free subscription through ACT Fibernet. This offer will be available at an additional cost of INR 99 across all the 17 cities where ACT Fibernet has its presence.